During my first decade of being a provincial civil servant, I have had the privilege of attending the retirement festivities of several long-serving government employees. During the uncounted anecdotes from their friends, co-workers, family and VIP guests, I had a most uncomfortable thought. Amid the laughter, groans and shaking heads, I was startled by the sheer length of service that these individuals had completed. Twenty-five, 30, even 40 plus years of public service. Relative to them, I have barely even begun my current career. So how did I envision spending the many years before my own retirement? Will I even stay in that long? Why should I stay in that long? After one such retirement, I had a more terrifying glimpse of the future. I had been the Chair of GoverNEXT, the Nova Scotia Provincial government’s membership-led province-wide network that is open to all public servants. During my tenure as Chair one of the most pressing concerns facing the public service was the impending wave of retirements plus the need to fill many of the critical positions that would be vacated. The provincial government workforce numbers north of 10,000 and has an unprecedented representation by four generations. This includes Baby Boomers, Gen-Xers, Millennials and the first of Generation Z. Dealing with the loss of knowledge from the senior staff is going to be unpleasant. Getting those four generations of workers to collaborate and transfer the knowledge with a minimum disruption of day-to-day operations is going to be interesting for all parties involved. As a result, Generation X is independent, resourceful, and self-sufficient. They value freedom and responsibility in the workplace. Many in this generation display a casual disdain for authority and structured work hours. So, from day one, I had found working for government very different from most of my previous employers. I was the first test subject for the Public Service Commission’s new orientation manual (umm the form that ensures you will be paid was missing). I was tasked to deliver my department’s orientation for new hires before I received my own orientation. Completely shocked at how Baby Boomer management had to schedule meetings for everything. Collaborated with Millennial Career Starts interns hired fresh from school but who rarely succeeded at becoming permanent employees. Engaged with ambitious Generation Zs who graduated from a Master of Public Administration program with high hopes and expectations but little or no experience in any workforce. This new world was so different from the corporate business world and not-for-profit areas I had recently left. I have a relatively rare and useful skill set in the field of GIS. Note for you readers: GIS seems to be one an asset that enables government to reach across departmental boundaries and allow them to see the `big picture’. Resumes are not too hard to write, right? Well, government resumes seem to want certain styles in which you may as well cut and paste everything that the job posting says you must have into your resume. With computerized keyword searches, you miss one of those critical words and you are a discard. Here’s a weird thing is that the provincial government offers training on how to properly write a resume but only after you have been hired. The province uses the STAR method for interviewing. The first time I had an interview with this method, I think I panicked. No, I know I panicked. Regurgitating answers to behavioral situations do not let one truly shine in an interview. Did those situations truly occur or are they just tales to satisfy the interviewers? If I had brought up my best example of `how did you deal with a difficult situation at work’ where my manager had tried to get me to… That situation may be one reason I distrust senior level management back then. When I meet prospective applicants to the civil service, I make sure that they know to look up the STAR method of interviewing, so they can be prepared. Someone must let them know! Here’s a good start. Once in, there is the probationary period that may vary from six months to a year or longer. Try not to screw up during that time period! Mandatory training courses are offered both in-person or online. All too often the in-person classes fill up, so your training will be delayed. Perhaps a shift to more online courses would ensure people are fully trained as quickly as possible. Then there is training in other areas, such as certification, higher education, or learning new skills. Within the limits of your annual education funding of course, and why does the course calendar start before our training budgets are allocated? Please fix that so we can apply for courses in a timely manner. Of course, if your training budget comes from a pool and your course is considered `less relevant’ to your unit, you may actually see your training evaporate because senior executive using the entire training budget to attend a conference to network more important than staff getting training that year. I have to ask – why do you stay? I ask that question myself every time I see wasteful or irrational decision making by management. Is it for a pension that may be a pittance when I retire? Is it because of working with limited resources and impossible challenges? Perhaps aspirations to management or even executive branch? I have been part of the United Way, GoverNEXT, PolicyHack, Employee Engagement, People Engagement, Diversity, Leadership, and Innovation groups. All of these experiences have given me inspiration to try an improve the civil service so that it may better serve the people of Nova Scotia. And that is why I stay for now. Ask me later. 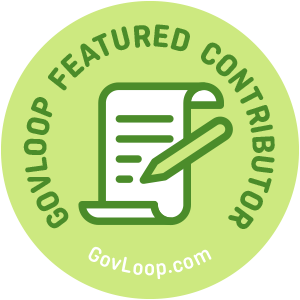 Ken Lee is a GovLoop Featured Contributor. 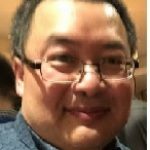 He is currently a GIS Officer with the GeoNOVA Secretariat of the Province of Nova Scotia with interests in innovation, leadership, policy, diversity, employee engagement, ITIL and Lean 6 Sigma for government. His next step? Let’s find out! You can read his posts here.